Wynn Resorts is still trying to move on from founder Steve Wynn. CEO Matt Maddox said on Friday that the company wants to change the name of its Boston casino project from "Wynn Boston Harbor" to "Encore Boston Harbor." "The Wynn brand is strong, and I understand it, and I believe in it globally," Maddox said in a presentation to the Massachusetts Gaming Commission. "I also understand the cultural sensitivity here." Encore is already the name of another Wynn Resorts property in Las Vegas. The Massachusetts Gaming Commission was holding a hearing to determine whether Steve Wynn can be removed from the license for the Wynn Resorts project in Boston. 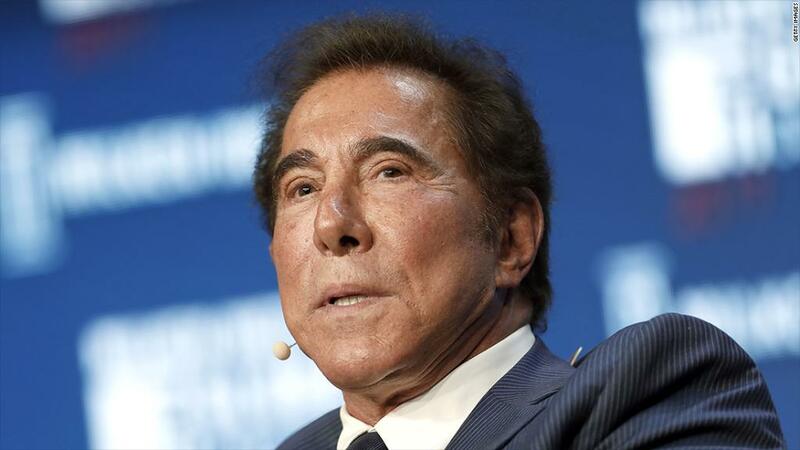 Wynn sold the last of his stake in the casino company in March. Wynn resigned as CEO of Wynn Resorts earlier this year amid allegations of sexual misconduct. He has denied the claims against him and called them "preposterous." Since Wynn's departure, the company has tried to reform its image. Wynn Resorts recently appointed three women to its board of directors, calling the move "a turning point." The $2.4 billion Boston casino and hotel is slated to open in 2019.